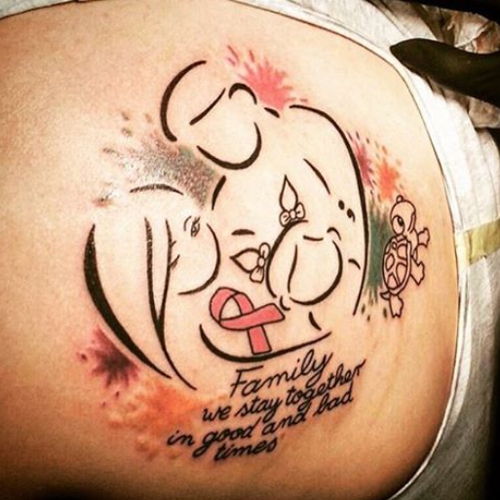 How Can Breast Cancer Tattoos Be Used to Cover Scars? 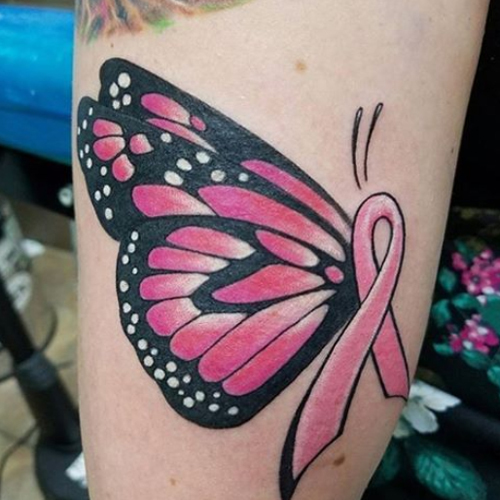 When you hear the words breast cancer tattoos, your thoughts might go straight to the internationally identifiable Pink Ribbon image. Many choose to get this as a tattoo to mark their recovery or to show support to remember their loved ones. However, breast cancer tattoos, can be used in a far more exciting manner. For women who have been through breast cancer and the associated treatments and come out the other side, it can be tough to reclaim their body. This is can be especially true if a mastectomy has been performed. With breasts often forming a part of many women’s perspective of femininity, the scars left can be a daily reminder of what has been lost to the disease. Of course, the reverse could be true and some wear their scars, as trophies from winning their fight. For those looking to cover, reclaim or transform these scars, breast cancer tattoos can be the answer. By placing a tattoo over the scar, the area can be reclaimed in a way that reflects the individual. There are lots of designs and styles to choose from when picking your tattoo. This can depend on the type of mastectomy that you had (single, double or partial), which may affect the style you pick. For single scars, a bold statement tattoo on that side of the chest can work well. Designs often feature flowers or other natural patterns. Another great idea is to get a pattern and extend it past the chest and onto the side of the stomach and down to the thigh, this brings more of the body into the work, creating flow in the piece. For those who have both breasts removed, styles can include central designs that spread over the chest or bra shaped breast cancer tattoos are a popular choice. A great example of a central image is a phoenix tattoo, which has its wings spread over the chest scars. Bra/ vest style tattoos can be very literal i.e. a tattoo of an actual bra, feature flowers or could be formed of a number of different images.